Hand designed Menorahs made with locally sourced hardwoods. 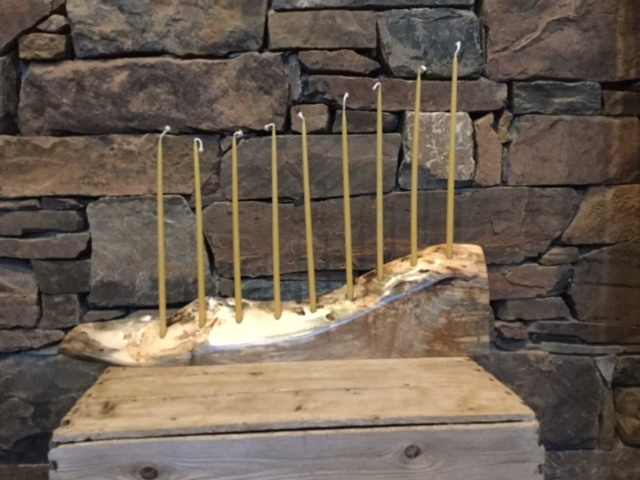 Includes one set of 9" beeswax taper candles. 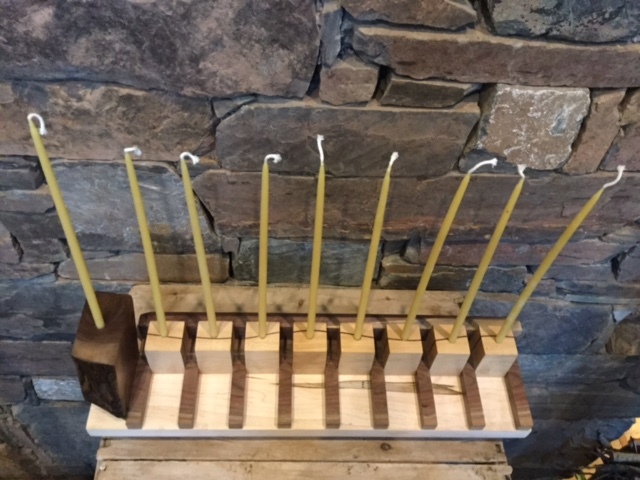 Hand designed Menorah made Walnut and Maple. Includes one set of 9" beeswax taper candles. Very unique live edge ambrosia maple piece.